I was at the drugstore the other day looking for some fun new lip colors to play around with, and I discovered Wet N Wild’s new line of $1 lipsticks! I knew I was going to be getting some right there, but I couldn’t decide on the colors! So I closed my eyes and asked my friend to grab me a couple colors that I wouldn’t usually wear! Here’s her picks! First up we have the shade Dark Wine. This is a color that I would wear any day, plums are my favorites to wear! 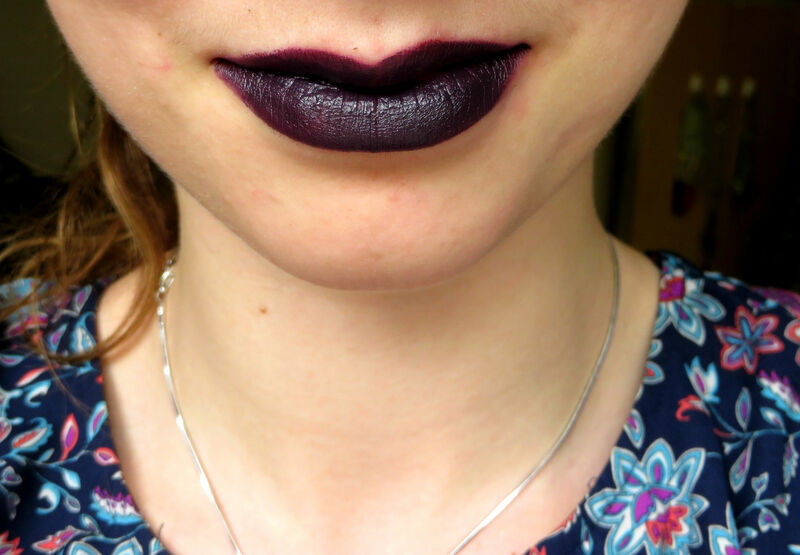 (Check out my post of my favorite purple lip colors here!) 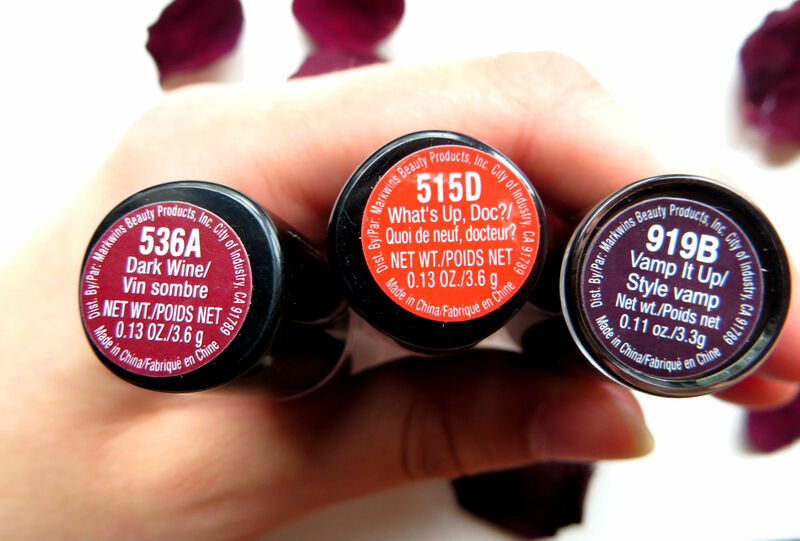 But as for the other two, I was a little hesitant…they are an orangey-coral shade titled What’s Up Doc and a dark, purple-black color called Vamp It Up. I tend to veer away from corals in fear of looking washed out, and I wouldn’t wear black lipstick usually unless it was Halloween! However, I tried to keep an open mind as I tried them on. I was expecting great things of this line, and I was not disappointed! 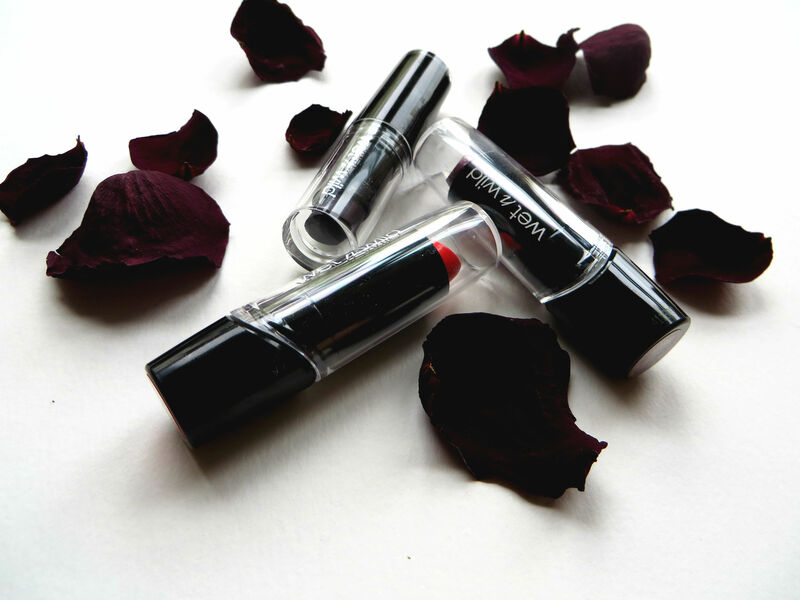 The colors are a little sheer, but they’re easy to build up, apply like a dream, and don’t dry your lips out! 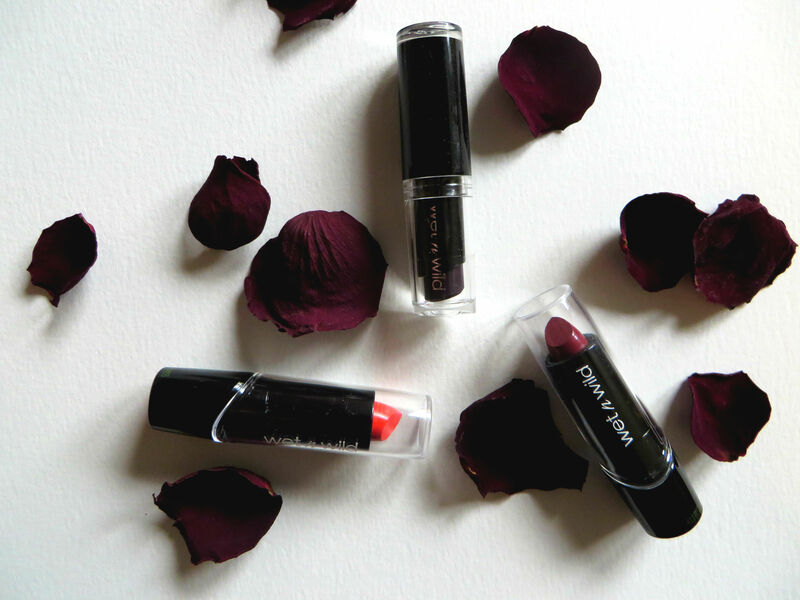 This beautiful deep maroon wine shade is one that I see myself wearing day-to-day as well as for a night out. I was wary of this coral/orange shade because I wasn’t sure how well it would suit my skin tone, but it actually wasn’t too bad! The bright color is perfect for summer, and actually matches my swimsuit really well 🙂 It did require a few coats to get the even color I wanted, but for just $1 I really can’t complain! This last one was the most unusual for me, and I’m still not sure how I feel about it. 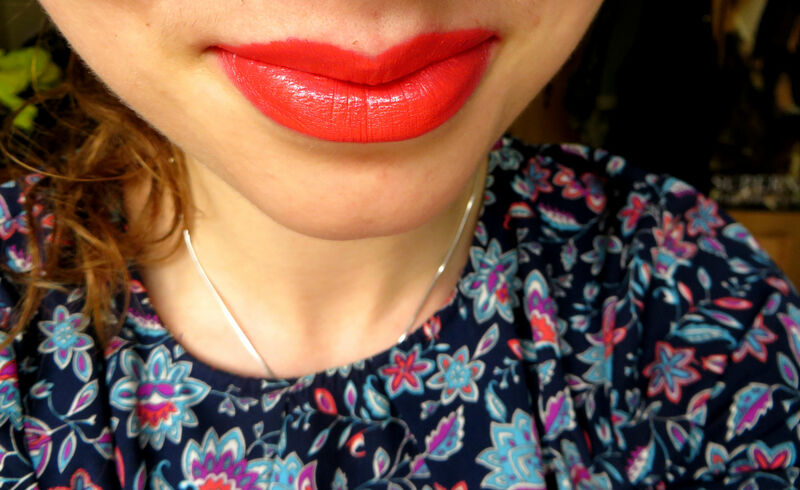 The lipstick only required one coat, but I’m not sure when I would wear this shade! Any ideas? Great deal! 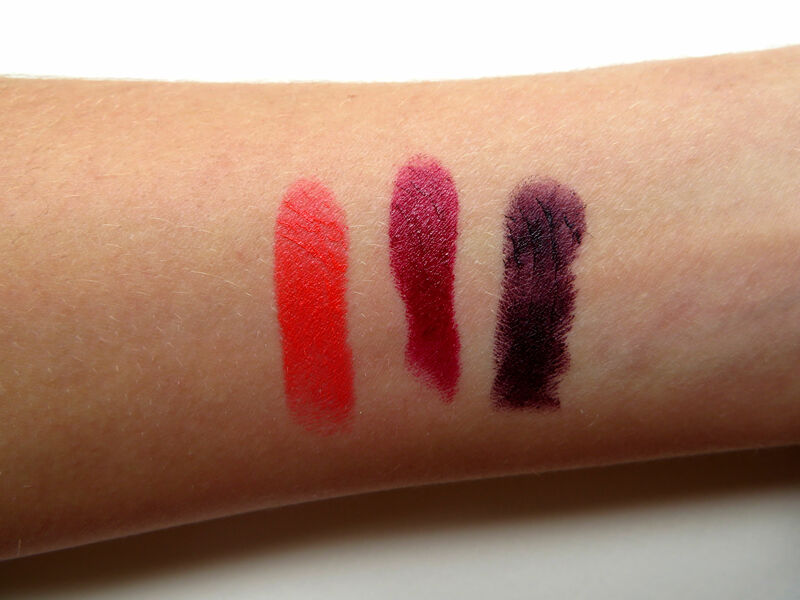 Lipsticks looks great, ma fave is the last one! Thank you! I love them all 🙂 Have a great day! 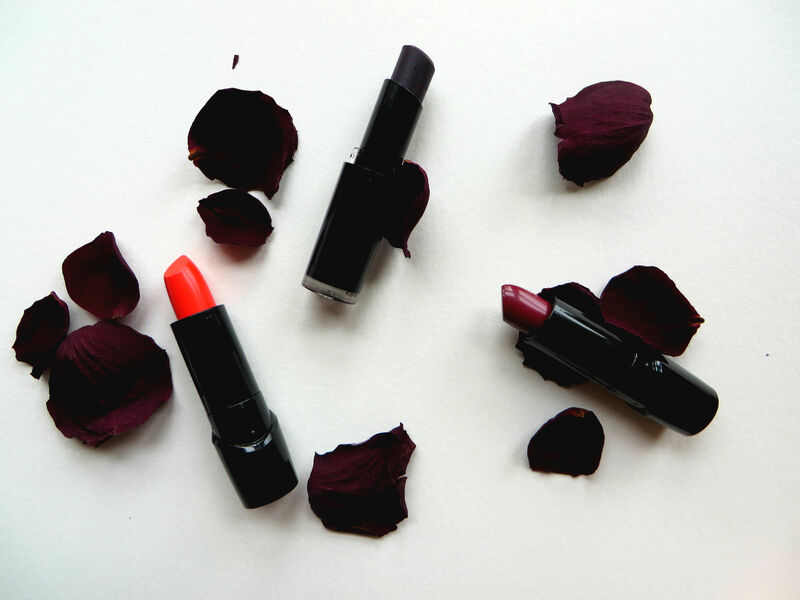 The coral and plum shades look so pretty! I don’t think that I am bold enough to wear the dark one! Haha I agree Sarah! The dark one would take the perfect outfit in order to pull it off. Love how vibrant these colors are and for only $1!!! Thanks Amanda! I was impressed with their quality for such a low price. Great price and amaazing colors too! Thank you Dora! Have a lovely day! I usually only use brand lipsticks because I love their quality but the first lipstick seems like one I would love and wear! I love to test out new colors cheaply, and this is a great way to do it! Thanks for stopping by, Naomi! I love them too, and that one’s my favorite as well! Thanks for stopping by! Love this type of posts! Dark wine is one of my favs! Me too, i love plum colors! Have a great day, Marjorie! I love the brand too, they’re so great! Thank you, and have a wonderful weekend! Kiki – these colours are all really lovely and unique in their own way and they all look lovely on you! What I would say is that the deeper maroon shade is perfect for everyday and evenings too – simple eyeliner during the day and a little bit of brown shadow just to add more depth to your eye in the evening. The coral shade would look gorgeous worn with a clashing eyeliner like green but if you want to keep things natural then you could wear a lovely gold eyeshadow to compliment the coral. Thanks for stopping by! I love the dark wine shade too. Have a great weekend! I’m so jealous you can buy Wet’n Wild lipstick with only $1 since the price is mark upped into $5 in my place! Thanks for visited and commenting on my blog♡ Have a nice weekends!! That’s a great idea for how to wear it, thanks Padma! I’ll have to test it out 🙂 Have a lovely weekend! Haha I agree, it’s a bit too dark for me! Have a great weekend! They look great. I love the maroon shade. Thanks Rubi! Have a lovely day! All of those colors look fab on you!!! 3 for $3? That’s crazy!!! Thank you Anna! They were quite the bargain 🙂 Check out the line if you get a chance! I’m loving the first two. I’m not so sure about the last one, though… haha!